Guest blogger Nina Engwicht discusses a controversial performance art project in Berlin aiming to help Syrian refugee children. “1 in 100” is the slogan of a nightly ironic talent show currently put on in Berlin by the activist performance artists of the group “Center for Political Beauty” (Zentrum für Politische Schönheit). One in a hundred Syrian children will be saved, is the promise. In order to help the German government decide which children should be rescued, the audience is requested to vote for a child they would like to see rescued from the civil war: “1 in 100! One child wins. The others can go on dying. (weitersterben)”. Is this campaign cynical? The choice over which child to save and which child to let die is of course impossible. All of the children deserve to be rescued from the war. However, the artists remind us how “We can’t solve the problems of the entire world” is an argument often brought forward cynically against granting asylum to those who need it, and to legitimize Europe’s deliberate insulation from the Global South. The need to choose among children who are all traumatized and fearing for their lives is thus not only rooted in hyperbole as an artistic method, but also in the simple fact that not all will be saved. Thus far, Germany has officially agreed to accept 10,000 Syrian refugees, while already 76,000 Syrians with family members in Germany have applied for asylum. According to UNICEF, 5.5 million Syrian children are in need of help (sources: Center for Political Beauty/UNICEF). The “1 in 100” show is part of a broader art project by the Center for Political Beauty which kicked off two weeks ago with an elaborate (yet fake) campaign, in which the German Ministry for Families was shown promising to rescue 55,000 Syrian children – one percent of those in need of help – following the model of the British Kinderstransporte (children’s transports) which saved 10,000 Jewish children from their death in Nazi Germany. Supported by two Holocaust survivors whom the Kindertransporte rescued from their families’ fates in the concentration camps of Auschwitz and Sobibor, the campaign promises to accommodate one percent of Syrian children in need with German foster families. Whilst the campaign itself is a spoof, the volunteers offering their services as foster families are real, forcing the Ministry to declare that they will not, in fact, be saving Syrian children. The idea of the Kindertransporte may be easy to reject as deeply flawed, since obviously they would rip families apart, and those who are rescued would have to live with the trauma of fearing for the lives of their families. It is also easily dismissible as indicative of a “white savior complex”, pursuing the well-being of children in need by taking them away from their families and transporting them to the Global North. Yet, both the videos of Syrian children affected by war and the support of those who were rescued by the Kindertransporte testify that erring on the side of saving lives is better than inaction, even if the means at hand are far from perfect. The other solution to the problem of taking children out of their families of course is: Let them come with their families (or end the war). Previous projects by the artists of the Center already demonstrated that they do not intend to fry small fish. Reminiscent of the preamble to the UN-Charter, aiming at saving “succeeding generations from the scourge of war, which twice in our lifetime has brought untold sorrow to mankind”, they base their work in lessons from the Holocaust. The prevention of future genocide, so the idea goes, demands a form of “aggressive humanism“. Only moral beauty and human generosity can combat the “repetition of political apathy, the denial of refuge and cowardice”. Convinced that politics, science and development aid have failed to prevent large-scale suffering, the Center for Political Beauty proclaims performance art to be the last resort for achieving true humanitarianism. 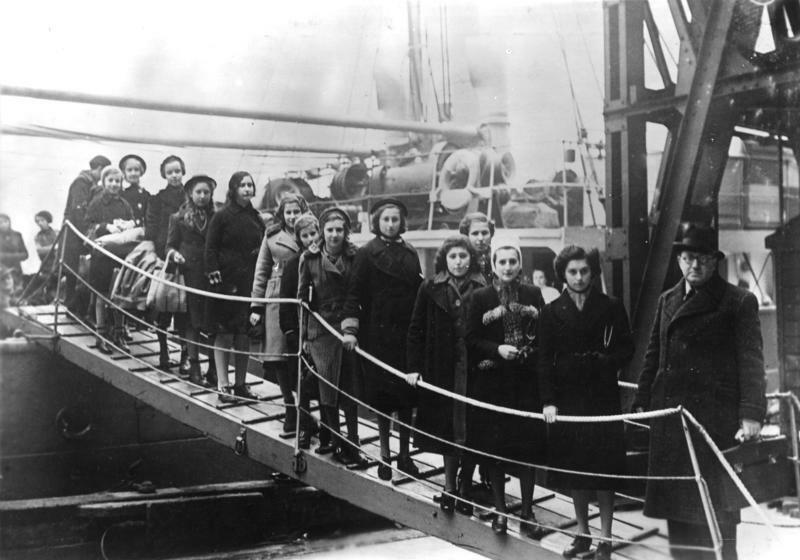 For examples of acts of kindness and bravery, the artists urge Germans to take a look into their own history – to those who hid refugees, created counterfeit passports, smuggled refugees – and recognize that while we commemorate the victims of the Shoah and praise those who fought in the Résistance, we seldom apply their spirit to today’s world. We admire von Stauffenberg, Sophie Scholl, Hannah Arendt or Anne Frank, yet act rather blasé with regard to thousands of people drowning in the Mediterranean Sea or dying in the Syrian war. Based on these observations, the Center for Political Beauty sees its work as a “reanimation” of the memorials created through past acts of morality. In this spirit, it has proposed – among other things – constructing a sarcophagus around the Heckler&Koch weapons factory to prevent the “leaking” of deadly materials out of the building, in the same way that the concrete casket works around the former atomic plant in Chernobyl. Another proposal envisages the construction of one thousand rescue platforms in the Mediterranean Sea to prevent refugees drowning. By referring to African refugees as “die neuen Mauertoten” (people killed at the Berlin wall while fleeing the GDR) the artists remind us that, not very long ago, Germans feared for their lives trying to cross international frontiers. Obviously it is rather unlikely that their “hyper-realistic” plans to rescue Syrian children will be realized. However, by presenting fully financed and “ready-to-use” transnational programs of humanitarianism which would, if implemented, likely prevent hundreds or even thousands of deaths, the artists show that today as in the past human suffering and death are not unavoidable facts which we just have to accept. Instead, saving lives or letting people die is often a question of political will and moral conscience. The cold-hearted rationality of saying “We are already taking on so many refugees” and “We cannot solve the problems of the entire world” is defied by the presence of those who were historically rescued by unlikely acts of kindness. Nina Engwicht is a doctoral researcher and member of the research group on illegal markets at the Max Planck Institute for the Study of Societies in Cologne. Her PhD research studies illegal markets under conditions of weak statehood, specifically the illegal diamond market in post-war Sierra Leone.